If high suspicion for necrotizing fasciitis through clinical history and physical exam, do not calculate a LRINEC score and go straight to operative debridement. Note: Use with caution, as the LRINEC Score has performed poorly in external validation, most recently in Neeki 2017. Patient with a concerning history or physical exam (pain out of proportion to exam, rapidly progressive cellulitis, for example). Patient with an unconcerning story (can provide some reassurance if score is very low). The LRINEC (Laboratory Risk Indicator for Necrotizing Fasciitis) score was developed to distinguish necrotizing fasciitis (nec fasc) from severe cellulitis or abscess. Retrospective observational study divided into a developmental cohort and a validation cohort. Included 145 patients with necrotizing fasciitis and 309 patients with severe cellulitis or abscesses admitted to Changi General Hospital. Developmental cohort consisted of 89 patients with nec fasc and 225 control patients. Necrotizing fasciitis defined as operative exploration finding: presence of grayish necrotic fascia, lack of resistance of normally adherent muscular fascia to blunt dissection, lack of bleeding of the fascia during dissection, and the presence of foul-smelling “dishwater” pus. From developmental cohort, authors derived scoring system of six criteria, each worth 0, 1, 2 or 4 points. Score was then “externally validated” on a separate cohort of 56 consecutive patients with nec fasc and 84 control patients with severe cellulitis or abscess seen at Singapore General Hospital during a similar time frame. Patients were classified into three groups: low (LRINEC score ≤5, <50% risk for nec fasc), moderate (LRINEC score 6-7, 50-75% risk for nec fasc), and high risk (LRINEC ≥8, >75% risk for nec fasc). Using LRINEC ≥6 as a cut-off for nec fasc yielded PPV of 92% and NPV of 96%. ~90% of patients with nec fasc had LRINEC ≥ while only 3.1-8.4% of control patients had score ≥6. 10% of patients with nec fasc still had a LRINEC score <6. There have been no prospective trials validating the LRINEC score. Subsequent validation studies have not replicated the numbers shown in the original study. The score may be helpful in providing an overall gestalt picture of a patient with a potential necrotizing soft tissue infection -- but it cannot rule out this infection. All patients with a high clinical suspicion for necrotizing fasciitis should receive immediate surgical consultation for potential operative debridement. Consider calculating a LRINEC score to distinguish patients with severe cellulitis/abscess vs necrotizing fasciitis. Prompt fluid resuscitation and antibiotic administration are crucial in the treatment of necrotizing fasciitis. Consider early surgical consultation in borderline cases. A LRINEC score ≥6 is a reasonable cut-off to rule in necrotizing fasciitis, but a LRINEC <6 does not rule out the diagnosis. A validation study looking only at patients with pathology confirmed necrotizing fasciitis showed that a LRINEC cut-off of 6 for necrotizing fasciitis only had a sensitivity of 59.2% and a specificity of 83.8%, yielding a PPV of 37.9% and NPV of 92.5%. However, the study did show that severe cellulitis had a LRINEC ≥6 only 16.2% of the time. Other validation studies have shown similarly poor sensitivities and specificities. A subsequent retrospective analysis of patients with confirmed necrotizing fasciitis also showed that LRINEC scores ≥ 6 were also associated with statistically significant increases in mortality and amputation rates. The original derivation study was a retrospective observational study looking at laboratory differences between patients with confirmed necrotizing fasciitis and those with severe cellulitis or abscess. They derived six criteria, CRP, WBC count, hemoglobin, sodium, creatinine and glucose, assigning each of them a point value from 0-4. Using a cut-off of ≥6 for necrotizing fasciitis, they then retrospectively applied the criteria to separate cohorts of necrotizing fasciitis and severe cellulitis/abscess patients drawn from a similar population as the derivation study. They found that a LRINEC score ≥ 6 had a sensitivity of approximately 90% and a specificity of approximately 95%, PPV 92% and NPV 95%. However, this cut-off still missed 10% of patients with necrotizing fasciitis. Subsequent studies of the LRINEC score yielded even poorer sensitivities of around 60% and a specificity in the 80% range. A LRINEC score of ≥6 could be used as a potential tool to rule in necrotizing fasciitis, but a score < 6 should not be used to rule out the diagnosis. Wong CH, Khin LW, Heng KS, Tan KC, Low CO. The LRINEC (Laboratory Risk Indicator for Necrotizing Fasciitis) score: a tool for distinguishing necrotizing fasciitis from other soft tissue infections. Crit Care Med. 2004 Jul;32(7):1535-41. PubMed PMID: 15241098. Chun-I Liao, Yi-Kung Lee, Yung-Cheng Su, Chin-Hsiang Chuang, Chun-Hing Wong. Validation of the laboratory risk indicator for necrotizing fasciitis (LRINEC) score for early diagnosis of necrotizing fasciitis. Tzu Chi Medical Journal - June 2012 (Vol. 24, Issue 2, Pages 73-76, DOI: 10.1016/j.tcmj.2012.02.009) Neeki MM, Dong F, Au C, et al. Evaluating the Laboratory Risk Indicator to Differentiate Cellulitis from Necrotizing Fasciitis in the Emergency Department. West J Emerg Med. 2017;18(4):684-689. Su YC, et al. Laboratory risk indicator for necrotizing fasciitis score and the outcomes. ANZ J. Surg. 2008; 78:968-72. Holland MJ. Application of the Laboratory Risk Indicator in Necrotising Fasciitis (LRINEC) score to patients in a tropical tertiary referral center. Anaesth Intensive Care 2009; 37:588-92. Fernando SM, Tran A, Cheng W, et al. Necrotizing Soft Tissue Infection: Diagnostic Accuracy of Physical Examination, Imaging, and LRINEC Score: A Systematic Review and Meta-Analysis. Ann Surg. 2018. Wong Chin Ho, MD, is a plastic surgeon accredited by the Ministry of Health of Singapore and head of W Aesthetic Plastic Surgery. He complete advanced surgical training at the Department of Plastic Reconstructive and Aesthetic Surgery at Singapore General Hospital. 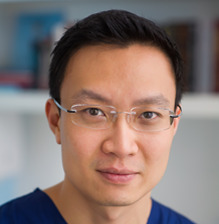 Dr. Wong is actively involved in clinical research with interests in facial anatomy, anatomical changes of the aging face and aesthetic surgery.